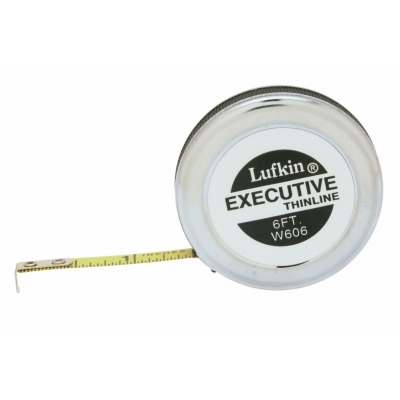 Your full-color logo will look great on this Lufkin 1/4" x 6' Executive Thinline Pocket Tape. Your full-color logo will look great on this Lufkin 1/4" x 6' Executive Thinline Pocket Tape. Convenient for office, briefcase, or pocket. 6' easy-to-read yellow clad blade finish. Power retraction Blade style: A16.